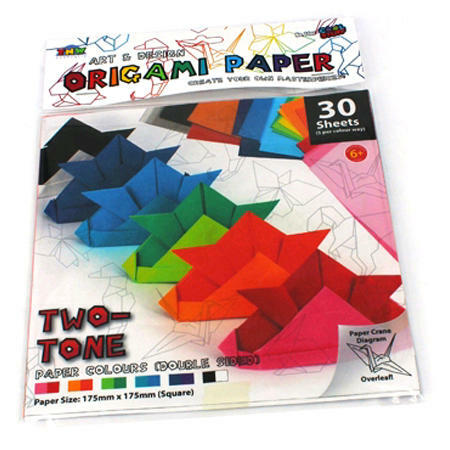 Origami Paper 2 Tone 30 Sheets is a set of beautifully coloured Origami sheets which is coloured in different tones on back and front. This set comes with instructions to make a Samurai Hat. YouTube is a great place to find detailed videos on how to make all sorts of wonderful Origami creations. We like this because: "creative fun that can be done anywhere."